Oppo unveiled few details about the N1 mini last month ahead of its launch event. 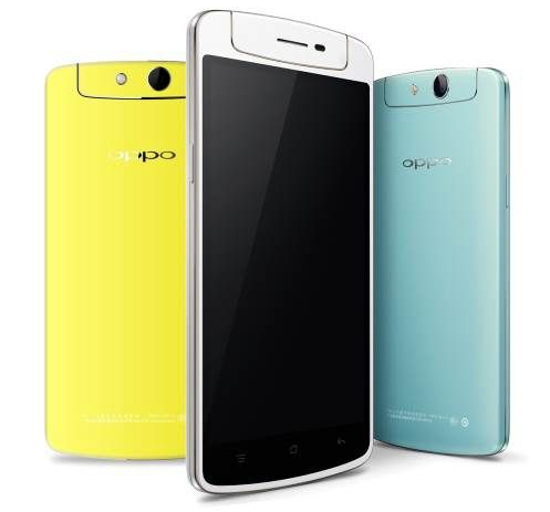 Today at an event in Beijing the company unveiled the N1 mini, a compact version of its last year’s flagship Oppo N1. The N1 mini has a 5-inch (1280 x 720 pixels) HD IPS display from JDI, powered by a 1.6 GHz quad-core Snapdragon 400 processor and runs on Android based Color OS 1.4. It has a 13-megapixel rotating camera with 1/3.2″ Sony IMX214 stacked sensor, 6-element lens, f/2.0 aperture and LED flash. It also has 4G LTE connectivity. Oppo has used the same material for the back and a metal frame, similar to the N1. It weighs just 150 grams. Oppo says it has reduced the weight of the rotating module in the N1 mini and has also reduced its size to reduce its weight. 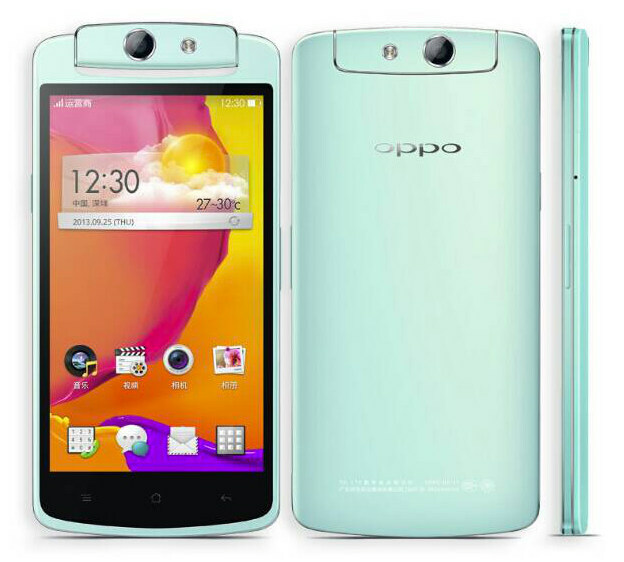 The Oppo N1 mini comes in white, blue and yellow colors and is priced at 2699 Chinese Yuan ( US$ 433 / Rs. 25,670 approx.) It would go on sale in China next week. No details about the global roll out yet.